I was in Beijing recently for a conference and was astonished by the scale and intensity of the city. 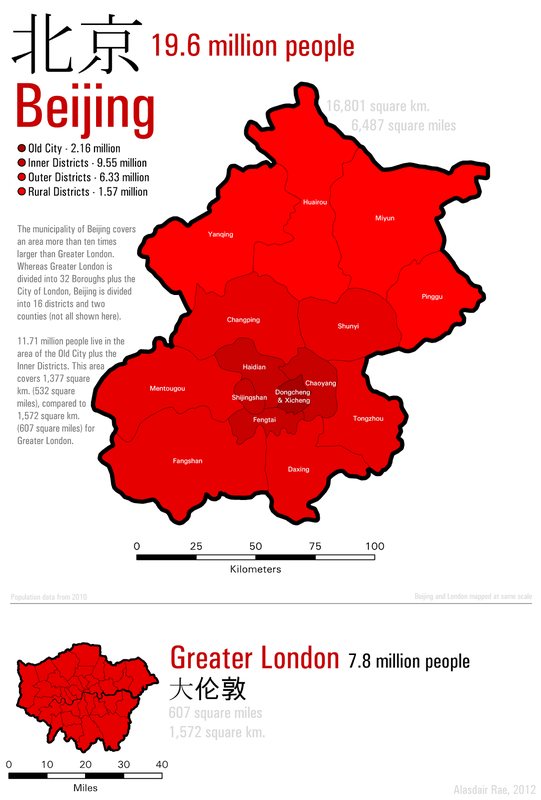 I found it a little difficult to get my head round the sheer size of Beijing so I thought I'd do a little comparison between Beijing and London. 'Beijing' here refers to the municipality of Beijing (i.e. 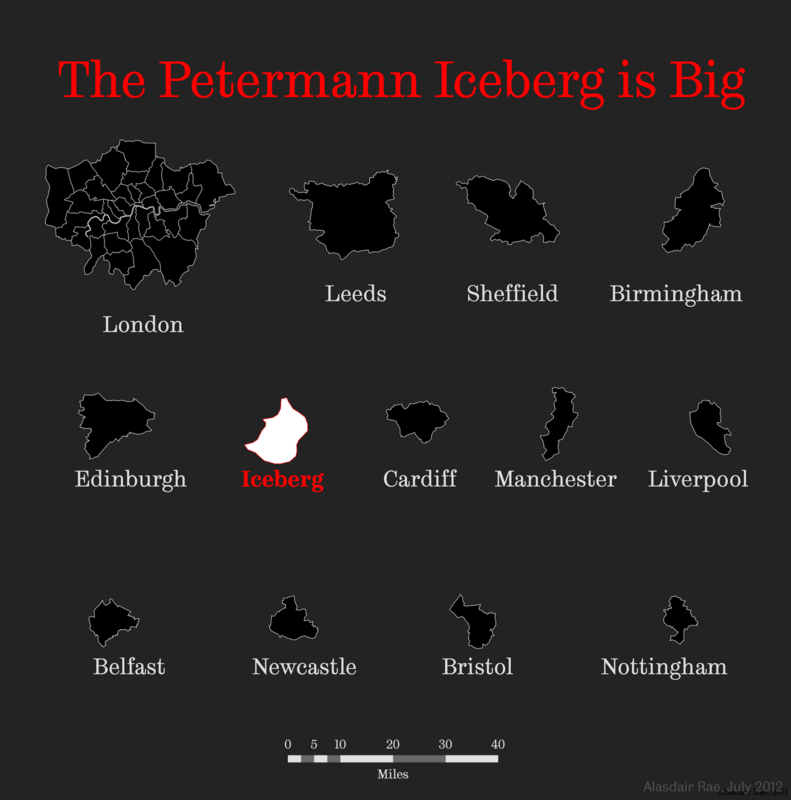 the Province-level city) and 'London' refers to the 32 Boroughs + City of London which make up Greater London. 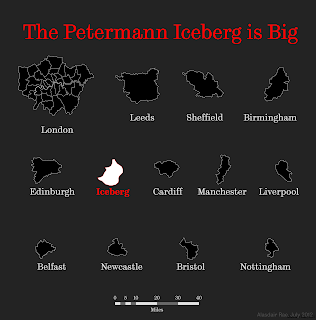 I've illustrated this in the graphic below, which maps Beijing and Greater London at the same scale. 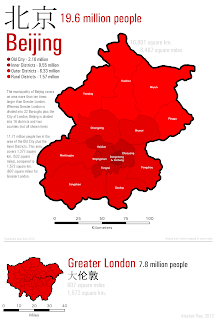 As you can see, Beijing is much bigger - both in terms of area and population.